John Carmack , a well known game designer working for iD, previewed their latest game at QuakeCon. 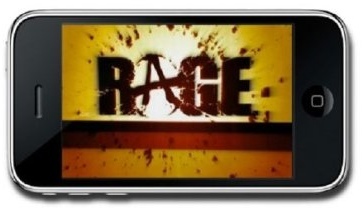 Rage is a first person shooter that will be available for the iPhone. It runs at 60fps on the iPhone 4.